In 2016, 397 people were injured in large truck crashes each day. 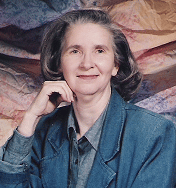 On September 20, 2004, Betsy Wood, her daughter Lisa Wood Martin, her three grandchildren, Chance, Brock and Reid Martin, were killed just outside Sherman, Texas. A tractor trailer driver fell asleep behind the wheel and crossed a median into oncoming traffic on a busy North Texas highway. The driver collided with two vehicles, killing a total of ten people and injuring two more. The truck driver eventually pleaded guilty to 10 counts of manslaughter in the 2004 crash. It was this particular crash that set an investigative team from The Dallas Morning News on a 14 month-long exploration that revealed – among other things – unqualified drivers, dangerous working conditions, lack of safety inspections, and very little oversight of an industry that affects every city in the country.